• There are 282 rooms and 23 suites. • Conference rooms, a heated ourdoor pool, a sauna, a fitness and gym center, a tennis court, some water sports, a private garage and a private beach on the famous Croisette. 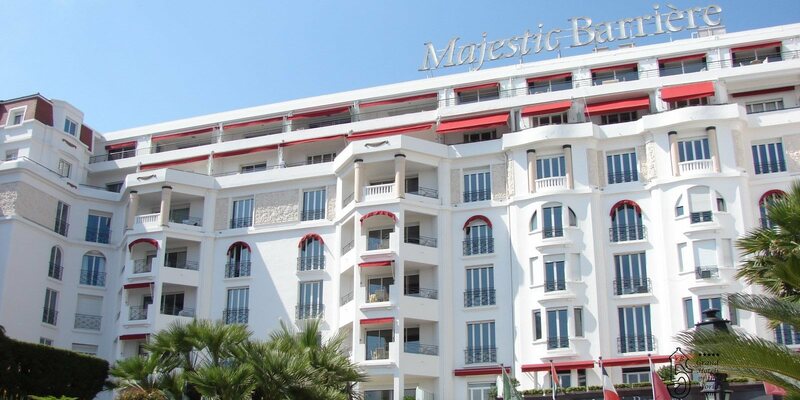 • Located on the Croisette in Cannes and only 110m of the Palais des festivals and the old harbor. • 1923: Opening of the Hotel Majestic.